ChewOff Natural Appetite Control – 💗 CTFO, Inc. Delicious, all-natural, gluten-free & sugar-free appetite control is like eating candy to lose weight! Proprietary prebiotic (feeds intestinal flora) fiber, and raspberry ketone formula. Watch how little you will want to eat and how fast the pounds and inches will melt away. To control hunger, boost metabolism and increase energy – all at an accelerated rate – chew two delicious Chew0ff tablets with a tall glass of water 30 minutes before each of three daily meals. The water-activated ingredients work synergystically to help you feel fuller, for a longer period of time. For me, healthier food choices became more appealing! 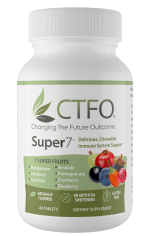 With Chew0ff simply listen to your body and naturally eat less. Stay on back to back cycles until you reach your desired weight loss goal. Then either switch to a maintenance dose of chewing two tablets per day with a full glass of water, or hop back on a cycle whenever you have 5 or 10 lbs you’d like to shed… SO, SO EASY! By eating so much less, you’ll easily save more money in a month than the cost of Chew0FF!